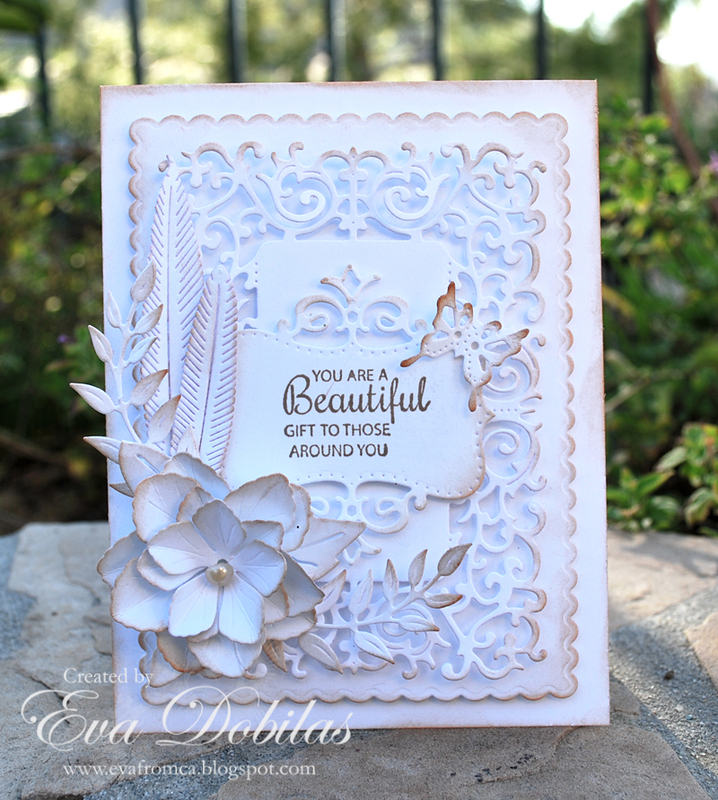 Hi there, today I have a white on white card to share with you in honor of this week's Cheery Lynn Design's challenge. I think it turned out quite pretty and hope you like it, too. To start my card I created an A2 size card base and of course all card stock I used was white. Next I die cut a A2 Frames Rectangular Scalloped, than one of the Alpine Flourish Doily and layered it on top. 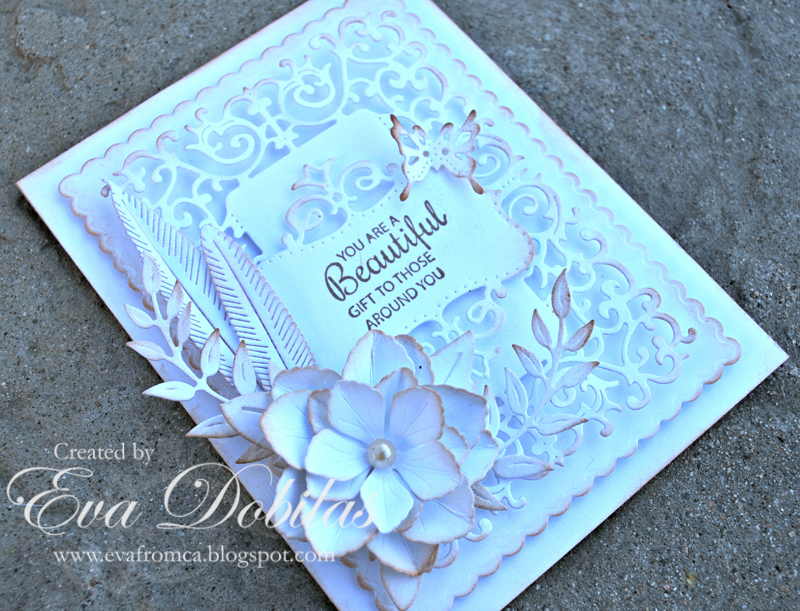 Than I die cut a Royal Scandinavian Tag 2 and stamped my sentiment on it and layered it on top. Than I cut 2 of the Judy's Bloom and built my flower and used the Leaf die for the bottom of the flower. Next I die cut Olive Branch, Quill & Ink and one of the Mini Butterflies W Angelwings and arranged them all around my card. I also want to mention that I used Ranger Tea Dye ink to edge all my white cuts.